Catriona is a member of The Institute of Chartered Accountants of Scotland. She trained with KPMG in Aberdeen before commencing her academic career at the University of Aberdeen, followed by The Robert Gordon University, Aberdeen. She held professorships at Glasgow Caledonian University and the University of Stirling before joining the University of Glasgow in 2012. Catriona's research relates mainly to the development of the accountancy professional. 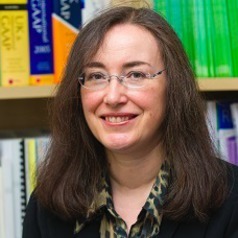 Her current work is concerned with: Ethical development – a research project funded by The Institute of Chartered Accountants of Scotland on the ethical experiences of chartered accountants is underway; Career development – including work on social mobility in the accountancy profession, the gender pay gap and work-life balance; and Educational development – including work on education at home and school, on careers in accounting in academia and on continuing professional development for professionally-qualified accountants.